Disney has unveiled plans for Disney Springs, the exciting, multi-year transformation of Downtown Disney at the Walt Disney World Resort. 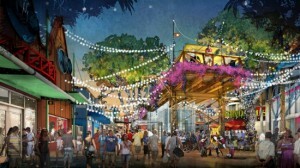 Walt Disney World Resort guests, local Florida residents and Disney vacation home renters have been enjoying Downtown Disney for more than 30 years, but Disney knew they had an opportunity to reimagine and reinvent this corner of the resort. They have spent a good deal of time thinking through just what they wanted this area to be, and how to bring it to life to make it a place unlike any other. And they have even scrapped a few preliminary plans that they felt didn’t measure up to their aspirations for this place. Disney’s fundamental goal is to create a welcoming, comfortable space where families can enjoy time together and instantaneously feel right at home. They want to give them opportunities to relax, to be entertained, to wander in and out of unique and distinctive shops or enjoy a world-class dining experience. And because they are Disney, they have anchored the entire experience around a story that gives them the ability to deliver on the legendary place-making and creativity for which they are known. 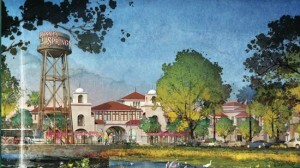 The result is Disney Springs, a timeless and vibrant place that celebrates the turn-of-the century lakeside towns that dotted the Florida landscape. The story of Disney Springs begins at the new Town Center, which is oriented around a series of bubbling natural springs that first attracted settlers to the area. From there, the town grew to encompass three additional neighborhoods: The Landing, Marketplace and West Side – each with its own distinct charm and atmosphere. 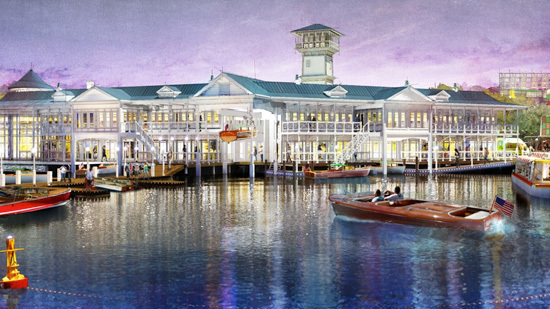 Once complete, Disney Springs will expand from 75 to more than 150 shopping, dining & entertainment venues, featuring some of the world’s most iconic brands and restaurants. Construction is set to begin next month. The expansion will open in phases and development is expected to be completed in 2016. Now you will have even more to visit from your Disney vacation rental home - see I Want A Villa website for more details.